I have been living in the Bay Area for over 22 years. So I have a vast knowledge of the housing market, schools and neighborhoods. As a Bay Area expert with knowledge of the communities, my objective is to work diligently to assist you in meeting your real estate goals. I am a full-time realtor since 2000 and my background in sales and marketing gives me the ability to carefully watch the details of a real estate transaction. Purchasing a home can be a daunting task. It is a huge decision but when you partner with Rosalind, your fears and worries will be gone. Let me help you! When you are buying or selling property in today's real estate market, it is important to have confidence and trust in your real estate professional. My commitment to my clients is to provide you with the specialized real estate service you deserve. My goal is to keep you informed on trends in the marketplace using the latest statistics in your local area. With property values continuing to rise, especially in the Bay Area, real estate is a sound investment for now and for the future. My aim since becoming a Realtor has been to make a difference in people's lives. This business is much more than just finding houses, it is about finding your dream home - a home where you can be safe, raise a family, your lifestyle, as well as provide financial shelter. The backbone of my business is exceptional customer service. This service can be seen in excellent listening skills, thorough explanation of the process of buying and selling, unwavering integrity, and most importantly the best advocacy and negotiation skills found in my business. My clients continue to use me and refer me their friends and family because they know I will provide a seamless real estate transaction. So, if you are considering buying or selling a home in the Peninsula, South Bay and Tri-Valley or would just like to have additional information about real estate in your area, please do not hesitate to call, text or email me. "Rosalind Chin was my Coldwell Banker real estate broker for the sale of my grandmother's Foster City home. Rosalind helped me prepare the house to put on the market. She gave me great recommendations and kept the projects moving forward in a timely manner. I could easily contact Rosalind with my questions. Rosalind gave me accurate time schedules for inspections, photographers, and staging of the property. Rosalind met the buyers at her first Open House. Rosalind knew that I wanted to sell the house to a family. The house was quickly sold for more than the listed price to a young family that was financially prepared to purchase a home. I recommend Rosalind Chin and Coldwell Banker to buyers and sellers. The property was even advertised on a weekend Coldwell Banker real estate television program. The beautiful brochures also helped advertise the home. " "Rosalind Chin was my Coldwell Banker real estate agent for the sale of my Foster City home. She guided me through preparing my house to put on the market. Rosalind made sure that inspections, photographs, brochures and staging were all done in a timely manner. I was kept informed of every date and time. She met the buyers at the first Open House on Saturday. The house was sold in three days for more than the asking price. I recommend Rosalind to buyers and sellers." "Rosalind is an excellent agent and very professional! She helped me and my boyfriend buy our first house. She prepares everything ahead of time, reminds us all things we need to pay attention to, instantly responds our questions, introduces reliable resources to us too. She cares about her clients and never pushed us during the process, very comfortable to work with. We'll definitely look for her if we want to sell or purchase in the future. Highly recommend to people who's looking for a agent!" "Rosalind is a very professional agent with lots of experience. She responded to our texts, and emails in very very short time. Unlike some other agents who try to push their clients to buy homes in a short amount of time in order to make quick money, Rosalind is very patient and listens to what kind of home we like. She also analyzes if a house is good from different dimensions such as location, school area, any issues in the inspection. We finally found our home with her help!" "In an ending ocean of real estate agents who come a dime a dozen these days, it is rare to find an agent like Rosalind. In the very uniquely competitive Bay Area housing market, her vast experience comes to the fore from the word go. When you are looking to buy a house, trust is critical and you can have blind faith on Rosalind knowing that she will always be fair, transparent and honest - which is scarce quantity in this profession. Her responsiveness to even the most trivial question that first-time home buyers may have especially is hard to believe. If you are looking for someone who has done this for a number of years in the past and will put in her 100% to help you buy/sell your house then look no further - we were certainly fortunate to have found Rosalind!" "Rosalind was referred to us by one of my close friends when I was about to give up finding our first home in the Bay Area, From the time of first contact with her to the closing time, she had worked like my mom to guide everything in a right direction. And yes! we finally got our first sweet home by her great help. We were especially impressed with her very quick responsiveness. Every time I asked something via email, text, call or whatever, I got very quick and proper, honest responses from her. And it was like a feeling that she was always beside me, which amazed us a lot. She's also really nice and patient with any naive question and request. Her opinions about the houses were very trustworthy as well. I'm very thankful to her dedication and I would definitely recommend her if any of my friends want to buy or sell a house" "
"Rosalind is a great agent, she helped us buy a SFH in bay area very smoothly, it was a pleasure working with her. She is very responsive and helpful during this home searching process, whenever I have any questions, she was always there to help. She is a very experienced agent, she pointed out pros and cons of each house directly. As a buyer agent, she stands for buyer's interest, not just pushes for a quick deal." "Rosalind was referred to us within my friend circle. Being new to the Bay area housing market, I found Rosalind is extremely helpful every step of the way, from introducing us to potential neighborhood, listening to our needs, showing us properties +++ ultimately purchased our first home ! She is trust-worth and expert in her field. " "Rosalind is an amazing realtor and friend. She is super efficient and amazing at what she does. Before I sold my house, she helped me find the best contractor to help me remodel the house for sale. She organized everything, helping me select materials and appliances for the house, choose paint colors, worked with the contractor to get things done on time, and hire gardener to come fix up the yard. My experience with the contractor she recommended was wonderful. After the house was ready, she put the house on the market and it was sold very quickly. She is a very people person; she is very honest and tells it as it is. When the buyer was having problem with their lender and their agent was not experienced, she offered to help and introduced them to her lender she trusted. As a result the entire sale went through very smoothly. And the BEST thing about this entire experience is, I wasn't even in the country. The entire process was done remotely. That's amazing dedication." "Rosalind did a really great job on helping me buying my first house! She's really nice and patient, also not push me to just bidding on every house we visited; but instead, she gave me all recommendations on whether the house is good for me, and whether the price is reasonable or not. I would definitely recommend her if any of my friends wanna buy a house in the future!" "Rosalind is a very professional agent. She will always reply to my question very quickly when I called/texted her. She explained a lot of house buying knowledge to me and even provide some good suggestion for remodel. She showed a lot of buying strategy during the offer making process which saved a lot trouble for me I would recommend her to any house buying issues "
"We contacted Rosalind after hearing about her from our friend. She quickly responded and set up a date to visit us and getting to know our needs. Since we were serious buyer, we didn't waste too much time and quickly found a place we like. Rosalind helped us nailing the deal and following up on things that we were quite sure about. She's firm and always responsive. In general, we were happy with her performance and would definitely recommend you doing business with a sharp person like her." "This is the 3rd house that Rosalind has bought for me. Action speaks louder than words. I always turn to Rosalind when I am looking for a new house or apartment because I can trust that she has my best interests at heart. She does a good job shortlisting candidates and will go out of her way to keep the buying experience pleasant and efficient." "With Rosalind helping me getting my first house after a 9-month long house hunting, I am very confident to recommend her to anyone I know. Rosalind is a very responsible person with exceptional work ethic. During every single step of the purchase, she worked proactively and finished everything in very short time. She treated me more like a friend rather than just a client. It was very comfortable working with her because Rosalind was always extremely patient, and never pushed me into making any decisions, even though it took us about 8 months to finally close a deal. What's better is that she knows reliable people who can handle everything you will need to do with the new house, which can make your life much easier. It was a great experience working with Rosalind, and I won't hesitate to work with her in the future." "Rosalind was recommended to my wife and I by a friend. After talking to her on the phone, where she explained the whole process to us, I knew she was the agent for us. We had trouble with the mortgage application process, and she waited patiently, checking-in occasionally to see how she could help. Once we were approved, Rosalind took us out to view some homes. She was informative and no-pressure the entire time. Rosalind really kicked into overdrive once we found the house we wanted. She had documents ready with blazing speed. Any time we needed her, she was there. She kept the seller's agent on her game, and ensured that the closing would go smoothly. Unfortunately, it didn't, but it was through no fault of her own. In fact, she was able to push the lender hard so that the closing was only delayed 2 days. For my next house, I will definitely work with her again!" "My husband and I were like the 'doubting Thomas' when our friend Jane and John recommended Rosalind to us. But our doubt was gradually diminishing as she guided us quickly but cautiously step. Y step throughout the process. Now the doubt has all gone and we are ready to recommend her without any to anyone who needs a trustworthy realtor in the Bay area. We are very grateful for what Rosalind has done for us. She handled the procurement and the lease of the property afterwards professionally, efficiently, responsively and responsibly. It's a joy to work with her. She certainly is one of the best in the profession we've ever worked with! Yes, we are looking forward to working with her again and would recommend her without any reservation." "To all home buyers (including first timers like us), if you are looking to have a peace of mind while going through this 'strenuous' I have a simple solution for you - get Rosalind Chin as your realtor. I am not exaggerating at all but the way she has handled this deal right from the time I received her text to tell me about the listed property to this day has been beyond expectation. We were first time buyers and she took us time to educate us about the process first, told us about the pros and cons, got us in touch with lenders to assess what works best for us before we decided to go ahead with our offer. The best part of the deal for was the fact that we were so confident and at ease because we knew we had an amazing realtor working day in and day out for us. She is super responsive and not just on working/business hours but 24X7. We are so very thankful and grateful that we got Rosalind who started as a realtor and now is such a dear friend. I would recommend her to all I know." "I was refereed to Rosalind by my friend. She is very professional and knows the Bay Area very well. She is very easy to talk to and provide us great advices. As my husband and I moved to Bay Area only few months and we did not know which area has better school zone, low crime rate, etc. So her opinions are very valuable to avoid buying the wrong property. She wasn’t pushy and wasn’t there to make commission. She cared about what you wanted to make sure we feel comfortable, for example she never show us something we cannot afford. She is very responsive. Whenever we have any questions, we will contact her and she always replies quickly. Even after we bought our place, she follows up to make sure we are doing well and settle comfortably. She also recommended us the reliable contractor for remodeling our new place. She is great and I highly recommend her. " "Rosalind helped my wife and I with our first home purchase in the east bay. From the very first meeting, I got the sense that she really cares for her clients and wants what's best for us, even if that means the first question to be answered is whether we were even ready to buy a home. Her responsiveness and experience played a big part in us winning the first bid that we put down, and she was available throughout the process to make sure everything went smoothly. I highly recommend Rosalind if you want a realtor who looks out for you and stays on top of things. You won't be disappointed!" "Rosalind helped me and my husband buy our first home in San Mateo. In the process, I have gained a friend I trust and admire! I feel so lucky to have had Rosalind by my side every step of the way. I felt her guiding me from beginning to end and she was always available to respond so quickly via phone, text, email, or meeting and I had many questions about the buying process, escrow, the Bay Area market, the neighborhoods, comps, etc. as I was a first-time home buyer. She's smart and sharp, and works fast and thoroughly, as there is so much detail and paperwork involved, but you could rely on her skills and be confident that everything will run smoothly. She recommended a lender to me as soon as I lost confidence in the lender that I found for myself and we were able to switch gears quickly to close earlier than expected! It is a great, successful ride when you work with Rosalind!" "I have moved from Palo Alto to Dublin where I am completely happy to have done so, not without the extremely great help from Rosalind. Rosalind's performance surpassed my expectations. While I was in New York, the property quickly went on the market. Unfortunately at that time I had to travel, so I felt unable to help Rosalind with details that I considered vital to accomplish this sale. I have to tell you...Her professionalism, her honesty, and her great Real Estate knowledge had assured me that during my absence I could count on her to succeed. I was amazed of her tenacity, in getting the job done, and how fast she did! In a short period of time, there was Rosalind displaying to me that she really knows her job!Having Rosalind representing you as a seller or buyer will indeed be a great asset to you!" "We worked with Rosalind in 2009 to purchase our first home and again in 2015 when we moved to our current place. She is a true professional - dedicated to her client's best interests, extremely responsive and is always available for advice above in areas above and beyond what one would expect from a realtor. We would highly recommend her to anyone looking to buy or sell. " "Rosalind is fantastic. She is patient, easy to work with, and understanding. She is knowledgeable, professional, hard-working, and efficient. She always goes the extra mile to help us and look out for our interests. On top of that, she has connections to other great professionals, for example, mortgage professionals and contractors, that we also benefited from. We think she will be our agent for life. We highly recommend her." "I have been working with Rosalind Chin for a few years now and with her patience and professionalism, she finally helped me secure a house near Los Gatos/Cambrian area. I would have lost the offer again to another buyer if she hadn't advised me last minute to up our offer price after she read through the inspection/disclosures reports. In this current multiple offers market, time is the essence. You need someone like Rosalind Chin who works relentlessly for you and who responds fast. Check her out if you have any real estate needs. " "I hired Rosalind Chin to help us buy our investment properties. She is an outstanding real estate agent and very committed. She responds to phone calls, emails, or texts. Not pushy but will lay the facts for her clients to make own decisions. We wouldn't have gotten our first investment property back in 2012 if she hadn't acted promptly and follow up closely with the listing agent to convince him to accept our offer. We have since become good friends. 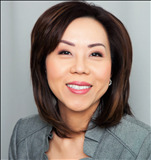 If you are looking for a real estate agent to either buy or sell, look for Rosalind Chin. Even if you just needed to talk to someone about the real estate market, Rosalind Chin will be able to provide you with the current market trends." "I had a extremely well buying experience with Rosalind. I was a first time buyer and really needed a lot of help and professional advices from her. And she not only proved to meet my expectation, she actually redefined my expectation. With her help, I was able to get my dream house with a very good price. And after I moved into my house, she still provided me a lot of help so my whole first home buying experience is so smooth. I strongly recommend her to everyone considering buying a new home." "Rosalind has been extremely professional and responsive throughout my buying experience. As a first time home buyer, her years of experience as a real estate agent has been essential in guiding me through unknown waters. Her exceptional attention to detail and focus on attending to your needs as a buyer was critical in making a great purchase of my home in Santa Clara. With her high level of integrity and trust-worthiness, it was a no brainer for me in deciding that Rosalind was the real estate agent that I wanted to work with. During my buying process, I had an very steep learning curve in home buying, yet had a really short time to decide on whether to go ahead with a house on market that caught my eye. Rosalind's effectiveness shone through by relentlessly accommodating to my buying situation by quickly responding, and making deals within a day. She also spent valuable time clarifying all my questions in a very helpful manner." "Rosalind gave me a fantastic end-to-end experience of the home selling process, completing the sale of my $1.2 M+ home in less than 7 weeks and delivering a solid offer at 98% of my asking price. Starting with a walk-thru of my home, she made valuable recommendations regarding what I could do to make my home attractive to potential buyers and provided a complete and thorough comparative sales analysis of recent sales in my neighborhood. She then worked with me to craft a professional-looking sales flyer and informational website which was intended to spark interest prior to a local brokers tour and an initial public Open House. Within 3 days after the initial Open House, I had multiple offers and she took the time to explain the pros and cons of each prospective buyer's offer. Finally she worked tirelessly with my escrow company, keeping me informed every step of the way, and driving them to complete all required tasks as fast as possible. I would highly recommend Rosalind if you have "
"I hired Rosalind Chin to first sell my home in San Mateo a couple of years ago and then purchase a new one in Redwood Shores just recently. She is an OUTSTANDING real estate agent in every way, from her professionalism, her character, how quickly she responds to phone calls, emails, or texts, and her contacts with mortgage brokers and contractors. She stays on top of everything having to do with the real estate market. She is vivacious, enthusiastic, and optimistic. She helped me sell my first home in 2 days with good pricing and staging advice and then guided me in setting up a strong, strategic, successful offer to buy my new home at a time when the competition was crazy (10-20 offers/home)! I strongly recommend hiring Rosalind for any of your real estate needs." "We just want to thank Rosalind for everything that she has done to ensure the transaction goes through successfully. Her dedication, responsiveness and laser focused result driver attitude are so impressive. I will not only trust her on all of my future business but also try to guide my friends and relatives her way." "We are so glad to have Rosalind with us through the whole process. She is very professional, helpful and patient to us. We are so thankful that our first home buying is so smooth. We could not have done it without her help and guidance." "Rosalind has been immensely helpful throughout this entire process., and fro that we are extremely thankful. She has guided us on so many occasions, have always been available and have provided great insight throughout. We imagine that without you, our experience would have been so much more difficult. Thank you for the things that you have done, your commitments and your dedication. We will be happy to recommend you to anyone and everyone."